The Consumer Electronics Show is the world's largest tech show, and it's in its 50th annual iteration this year. While drones, laptop, mobiles, televisions, and upcoming tech usually grab the headlines, cameras do also enjoy the limelight at the trade show. Several camera manufacturers have showed off their latest wares at CES 2017 that is currently on going in Las Vegas. Canon unveiled its newest premium point and shoot camera - the PowerShot G9 X Mark II - alongside the PowerShot SX430 IS, IXUS 190, and IXUS 185, as well as three new offerings in its Vixia HF-R Series camcorders; Nikon launched its latest entry-level DSLR - the D5600 - in the US; Fujifilm showcased the new FinePix XP120 rugged point and shoot, and Panasonic detailed the previously unveiled Lumix GH5 mirrorless camera while also introducing the Lumix FZ80 and Lumix GX850 entry-level cameras. Canon on Wednesday announced four new cameras in its PowerShot point-and-shoot and IXUS entry-level series - the PowerShot G9 X Mark II (seen above), the PowerShot SX430 IS, the IXUS 185, and IXUS 190. All four cameras will be available from February onwards. The Canon PowerShot G9 X Mark II sports a 20.1-megapixel 1.0 inch CMOS sensor that's powered by the DIGIC 7 imaging processor. It sports a 28-84mm (35mm equivalent) lens that offers 3x optical zoom with IS. It bears a 7.6cm LCD display with a 1040k-dot resolution. It supports full-HD video recording up to 60fps. Connectivity options include Wi-Fi, NFC, and Bluetooth for easy transfer and sharing of photos and videos. It weighs 206 grams. The point and shoot camera has been priced at Rs. 30,995 in India, and $530 in the US. 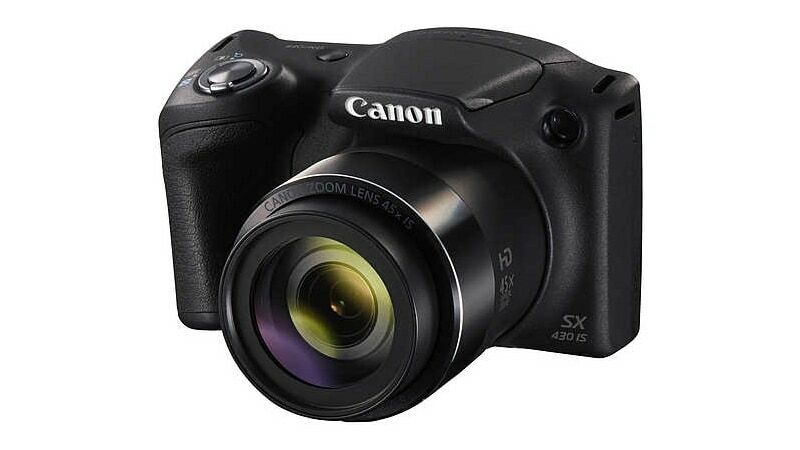 On the other hand, the superzoom point-and-shoot Canon PowerShot SX430 IS (seen above) bears a 20-megapixel 1/2.3-inch CCD sensor, and is powered by the DIGIC 4+ imaging processor. It bears a 24-1080m lens capable of 45x optical zoom with IS. Also on board is a 7.6cm LCD display with a 230k-dot resolution, and the company is touting HD video recording at 25fps. Connectivity options include Wi-Fi and NFC, and the whole thing weighs in at 323 grams. It has been priced at Rs. 14,995 in India, at EUR 299.99 in Europe. Coming to the new models in the IXUS series, the IXUS 185 and IXUS 190 (seen above). They are said to be the slimmest cameras in the range, and both feature Wi-Fi connectivity, a 20-megapixel 1/2.3-inch CCD sensor powered by the DIGIC 4+ imaging processor, a 6.9cm LCD display with a 230k-dot resolution, and HD video recording at 25fps. 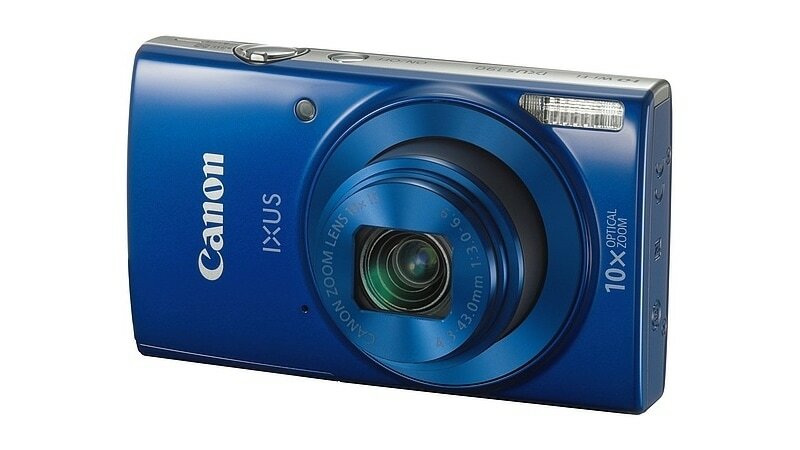 The IXUS 185 bears a 28-224mm lens with 8x optical zoom, weighs 126 grams, and has been priced at Rs. 6,995 in India and EUR 149. As for the IXUS 190, it comes with a 24-240mm lens with 10x optical zoom with IS, features NFC connectivity, weighs 137 grams, and has been priced at Rs. 8,995 in India and EUR 219.99. As for the new Vixia HF-R Series of personal camcorders, Canon has launched three models - the Vixia HF R82, Vixia HF R80 (seen above), and Vixia HF R800. The three models are equipped with 57x Advanced Zoom, SuperRange Optical Image Stabiliser, a 3.28-megapixel full-HD CMOS Canon Image Sensor, DIGIC DV4 image processor, and a 3-inch capacitive touch panel LCD. While the Vixia HF-R82 camcorder offers 32GB of internal storage, the Vixia HF R80 offers 16GB of internal storage. All three have an SD card slot. Canon says the new 2017 Vixia HF-R models feature flexible slow and fast motion recording, backlight correction when in Highlight Priority mode. and support for the Canon Camera Connect App. The Vixia HF R82, Vixia HF R80, and Vixia HF R800 are set to go on sale in February at $449.99 (roughly Rs. 30,400), $399.99 (roughly Rs. 27,000), and $299.99 (roughly Rs. 20,300), respectively. 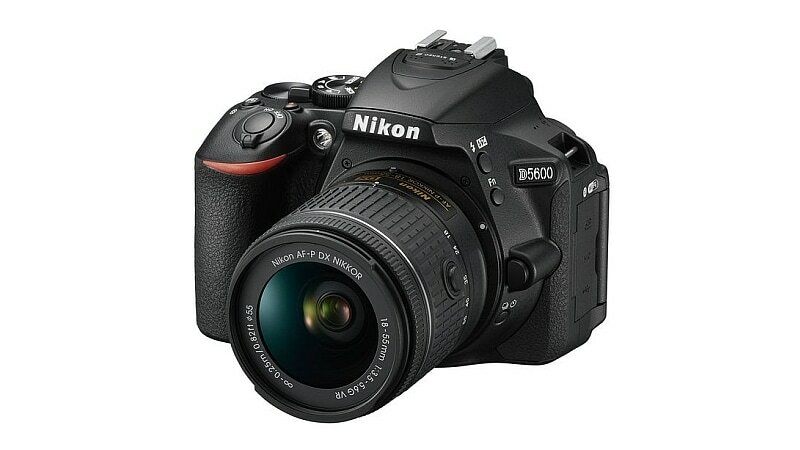 The Nikon D5600 (seen below) with SnapBridge sharing was unveiled back in November, but at the time the company had not detailed US availability and pricing. It's now announced that the entry-level DSLR camera will be available from January with a suggested retail price of $799.95 (roughly Rs. 54,100) that includes the AF-P DX NIKKOR 18-55mm f/3.5-5.6G VR lens. It will also be available in a two-lens kit option, including the AF-P DX NIKKOR 18-55mm f/3.5-5.6G VR and AF-P DX NIKKOR 70-300mm f/4.5-6.3G ED lenses, for $1,149.95 (roughly Rs. 77,800) . Additionally, the Nikon D5600 will be sold as a body only for $699.95 (roughly Rs. 47,300) or with a AF-S DX NIKKOR 18-140mm f/3.5-5.6G ED VR lens for $1,199.95 (roughly Rs. 1,35,400). 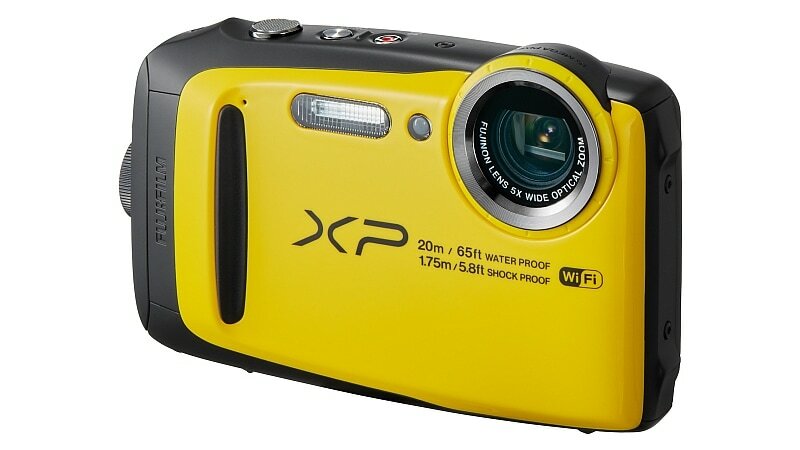 Fujifilm introduced a new rugged point-and-shoot camera, the FinePix XP120 (seen below). It sports a 16.4-megapixel back-illuminated CMOS sensor and a 3-inch LCD 920K-dot monitor. The company said the rugged camera is waterproof up to a depth of 20 metres, shockproof from falls of up to 1.75 metres, freeze proof to -10-degrees Celsius, and is also dust proof. The FinePix XP120 is equipped with FUJINON 5x optical zoom lens with a 28mm wide-angle setting. Optical zoom can doubled to 10x with Intelligent Digital Zoom technology, and it also sports optical image stabilisation. The company is also touting a Cinemagraph mode that produces still images with moving elements, apart from an underwater mode, remote shooting function, burst mode up to 10fps, and Wi-Fi connectivity. The Fujifilm FinePix XP120 will be released in late February 2017 in the US at $229.95 (roughly Rs. 15,500). The company also launched a Graphite edition of the Fujifilm X-Pro2 body with a Graphite edition XF23mmF2 R WR Lens and Lens Hood Kit, apart from a Graphite Silver edition of the Fujifilm X-T2 body. 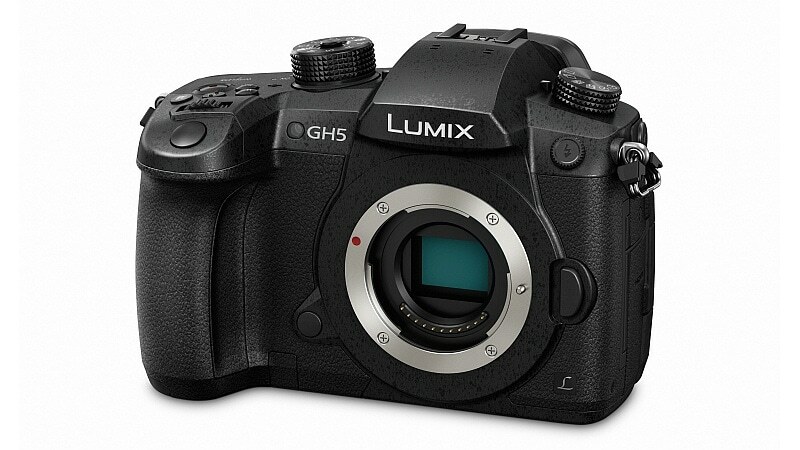 Panasonic unveiled the Lumix GH5 (seen below) at Photokina last year, said to be the world's first interchangeable lens mirrorless camera capable of shooting 4K video at 60fps, but did not reveal too many details. At CES 2017 however, that changed, and the company has also revealed pricing and specifications. The Panasonic Lumix GH5 bears a 20.3-megapixel Digital LIVE MOS Micro Four Thirds sensor powered by the Venus Engine imaging processor, and the company is touting 4K video recording at 60fps while also taking 6K photos (18-megapixel equivalent high resolution photos). Panasonic is also touting the the Venus Engine's Multi-pixel Luminance Generation feature, which supposedly renders clearer and sharper images by referring to a 9x larger area of pixel information during the de-mosaic process. Also being boasted of are the Intelligent Detail Processing, Three Dimensional Color Control, and High Precision Multi Process NR. The Lumix GH5 DSLM camera sports a 5-axis Dual IS, as well as a 2-axis OIS, and a 5-axis Body Image Stabiliser. Detailing video recording, Panasonic says the camera is capable of internal 4:2:2 / 10-bit video recording, while users can choose between MOV, MP4, AVCHD Progressive and AVCHD formats at a variety of frame rates, with is no recording time limit for both FHD and 4K video. The 4K photo mode has also been upgraded, enabling 60fps high speed capture in approximately 8-megapixel equivalent resolution. The camera also features a Waveform Monitor and Vector Scope for professional users, and also embeds SMPTE-compliant Time Code either in Rec Run or Free Run count-up methods. Luminance levels on the Lumix GH5 can be selected between 64-1023 / 64-940 / 0-1023 (10-bit). Synchro Scan mode suppresses flicker and Color Bars (SMPTE / EBU / ARIB Standard) are also available. The Lumix GH5's main structure is composed of a magnesium alloy, full die-cast front/rear frame. The company claims secure construction and complete sealing makes it splash and dust-proof, while also being freeze-proof down to -10-degrees Celsius. It sports a double SD card slot compatible with UHS-II. It also bears a large LVF (Live View Finder) with a 1.52x / 0.76x (35mm camera equivalent) magnification ratio on the OLED 3,680K-dot resolution display. It also bears a 3.2-inch free angle rear screen with a 1,620K-dot resolution. Alos onboard is Bluetooth v4.2 and Wi-Fi 802.11ac connectivity. It will be available from late March at $1,999.99 (roughly Rs. 1,35,400) for the body only. 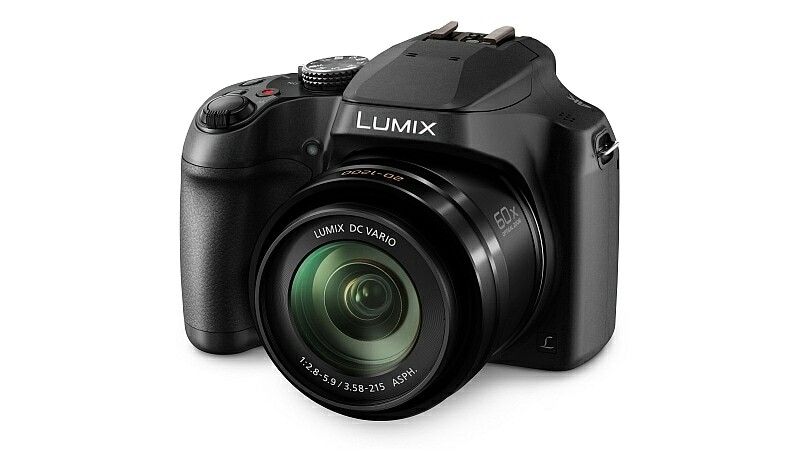 Coming to the Panasonic Lumix FZ80 (seen above), the superzoom point-and-shoot camera sports a 20-1200mm Lumix DC VARIO ultra wide-angle lens that offers 60x optical zoom. It bears an 18.1-megapixel High Sensitivity MOS sensor that's powered by the Venus Engine imaging processor. The company is also touting high-speed, high-precision autofocus with its DFD (Depth From Defocus) technology. Video recording can go up to QFHD 4K (3840x2160 pixels) at 30fps, and the POWER OIS with Active Mode feature cane be used for video as well. It sports a 3-inch 1,040K-dot rear monitor apart from a 0.2-inch 1,170K-dot EVF. Also featured is Wi-Fi connectivity. 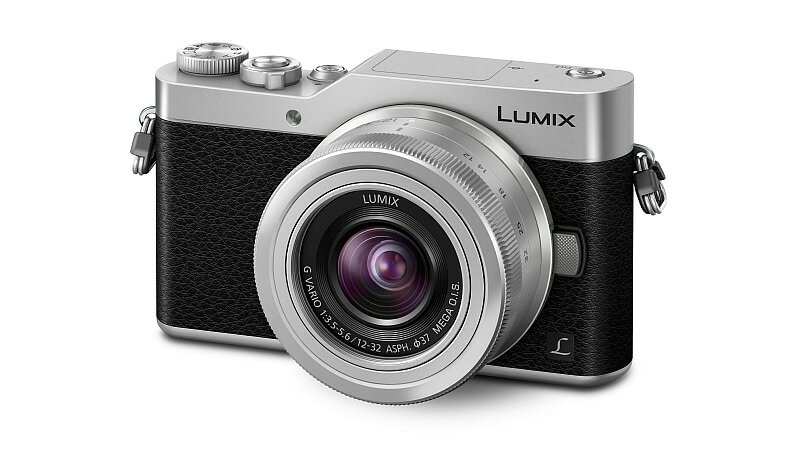 The Lumix FZ80 will be available in March for $399.99. Finally, we come to the Panasonic Lumix GX850 (seen above) - said to be the "ultimate high performance compact mirrorless camera for selfie-takers," thanks to its flip-up rear monitor. 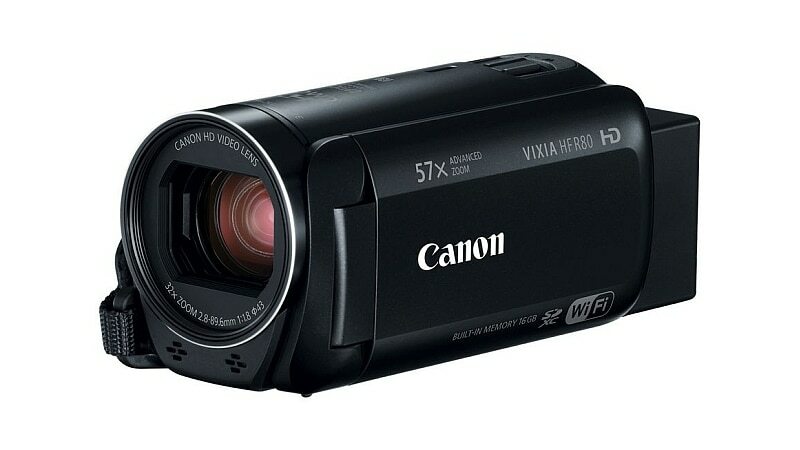 The interchangeable lens cameras other USPs are its support for 4K Video and 4K Photo. It sports a 16-megapixel Digital Live MOS sensor that's powered by the Venus Engine imaging processor. The flip-up rear monitor is a 3-inch 1,040K-dot resolution touchscreen. The camera goes into Self Shot mode automatically once the monitor is flipped. The GX850 will be available for $549.99 (roughly Rs. 37,200) in early February.